Little more than a week ago we had ULC Youth Forum start. 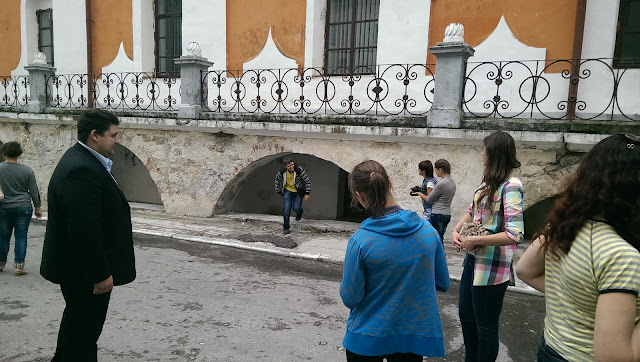 It took place in Kremenets. The youth gathering began with the meditation on the Word of God and prayers that were essential parts of the Forum for all three days. The very first seminar (as also other seminars) were based on Dr. Luther's Small Catechism and was titled "A Christian in Church". 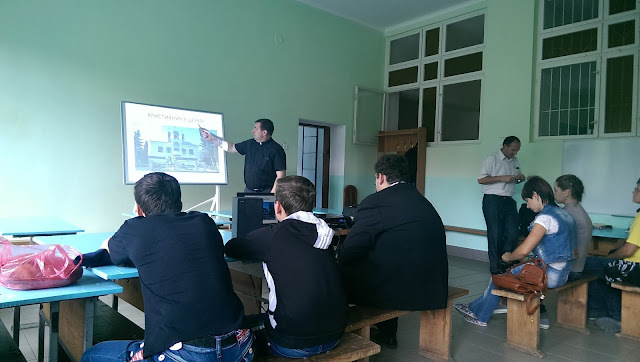 Bishop V'yacheslav Horpynchuk had his presentation in the begining. 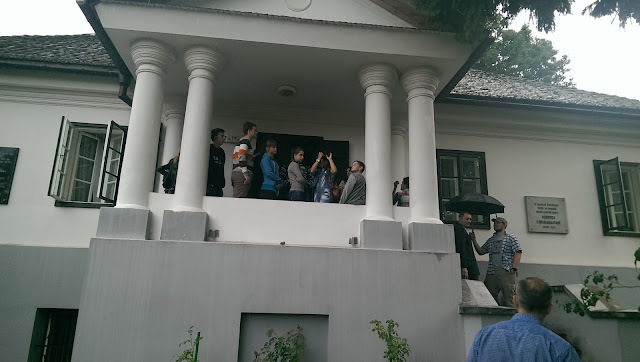 The first day of the Forum was also busy with visiting the Yuliush Slovatsky Museum in Kremenets. We learned about life and works of this famous Polish poet who was born and grew up in a western Ukrainian town of Kremenets there. 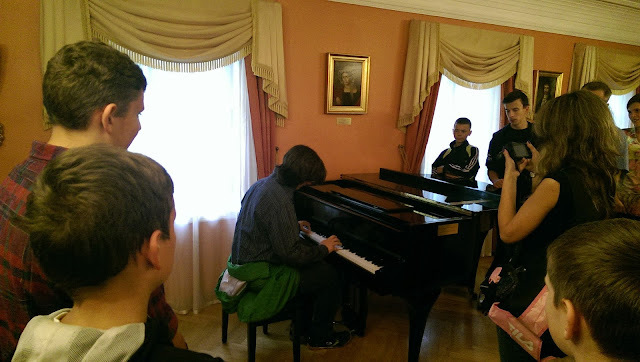 They have also allowed us to make a small music picture on a museum piano. We thank the Lord for Faith Lutheran Church from Sharpsburg, GA for the support of our Youth Forum and Holy Cross Lutheran Church from Kremenets for being our gracious host! 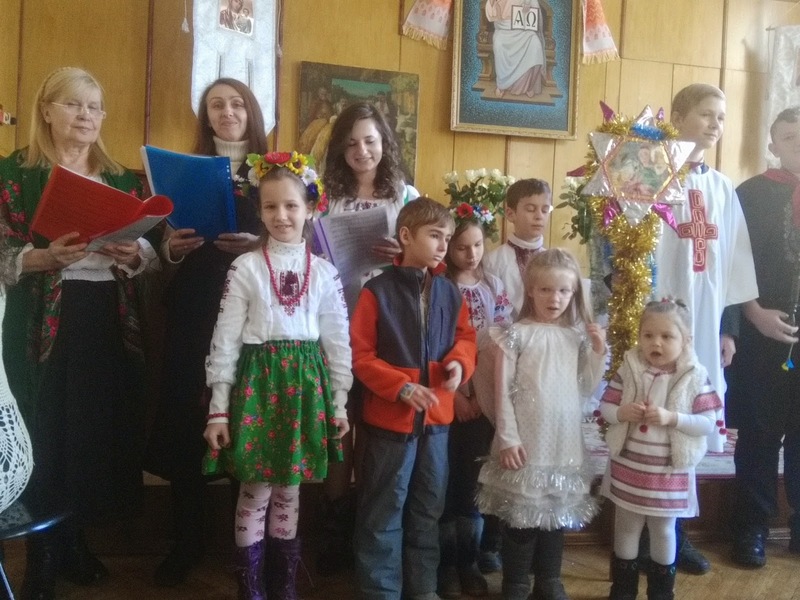 Youth Council of the Ukrainian Lutheran Church met at the ULC Office on April 22, 2015 in Kyiv. 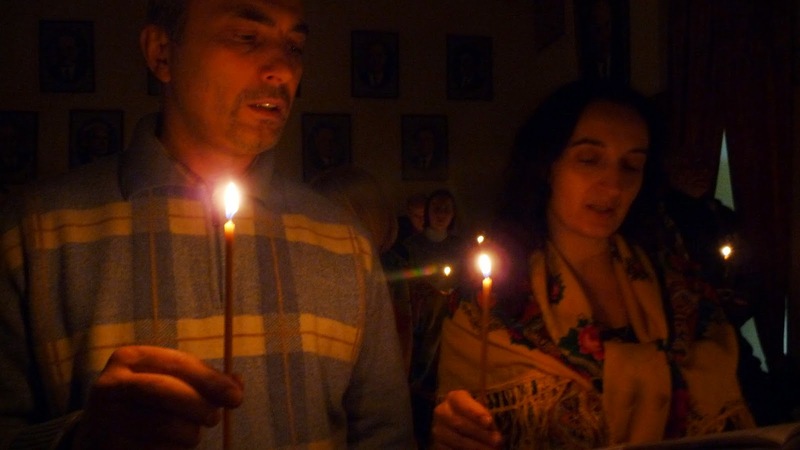 ULC Bishop V'yacheslav Horpynchuk participated in the meeting. 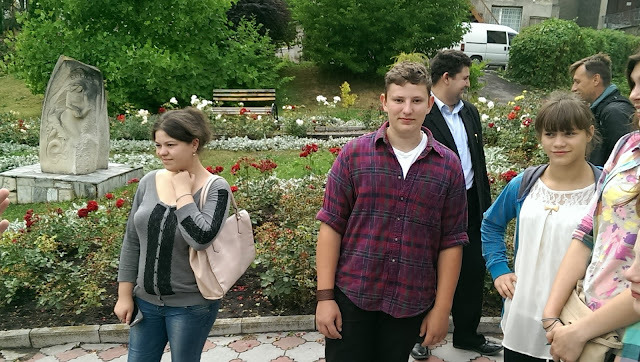 The Youth Council has discussed youth ministry in the ULC, approved reccomendations for the ULC parishes regarding the youth ministry, and also approved a decision about ULC Youth Forum to be held on July14-July16 this year in Kremenets. 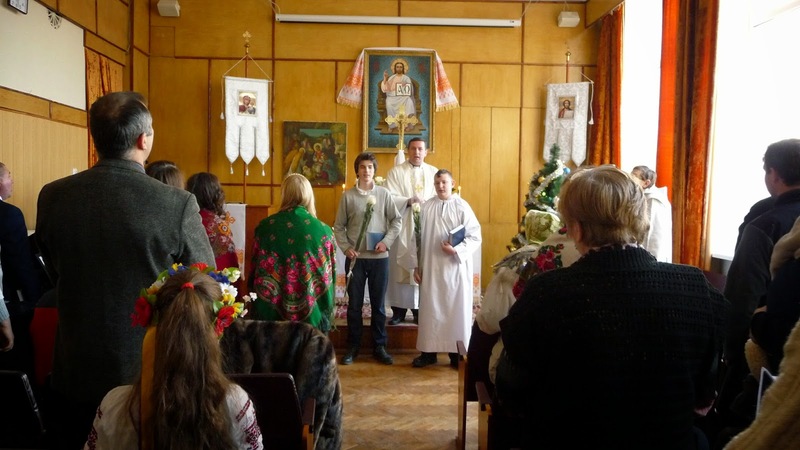 Picture: ULC Youth Council Members, Pastors Roman Andruntsiv from Krements and Oleksandr Feschenko from Tokmak. We continue to celebrate 50 days of Easter joy. 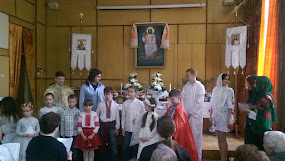 Pictures below were taken after the Easter Liturgy at the Resurrection Lutheran Church in Kyiv. 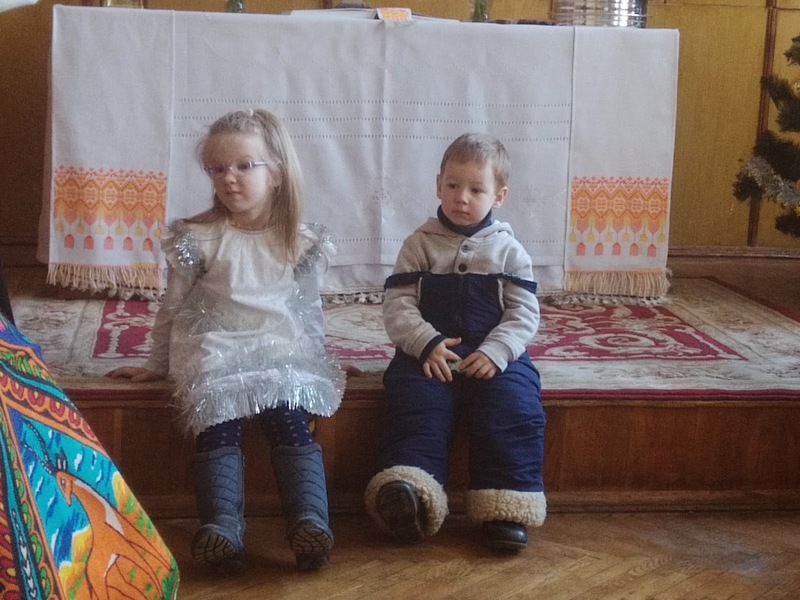 Two sisters in Christ, Mrs. Olena Derevska and Mrs. Valentyna Storozhuk, have been invited to receive their first Holy Communion on Easter Sunday in the Resurrection Lutheran Church in Kyiv after their confession of faith. We pray to the Lord that He may give our two new sisters in Him many blessed years! 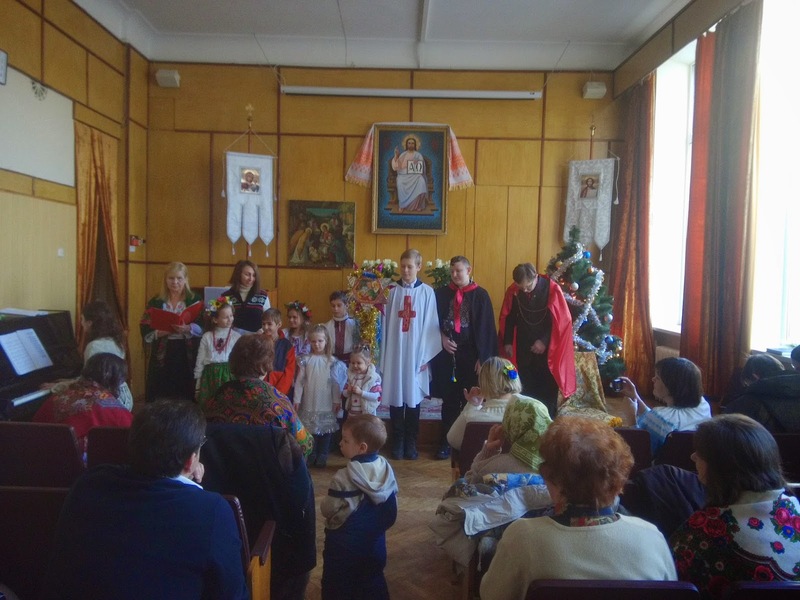 Two new citizens were added to the Kingdom of God through Baptism in the Resurrection Lutheran Church in Kyiv: Sophie-Marie Myrskykh and Oleksandr Storozhuk. We welcome new members into God's family and wish them many and blessed years!! !